Fundrazor has the Best Soccer Fundraising Ideas for Youth Soccer Leagues. fundraising goals for your league. The absolute best soccer fundraising idea is our cookie dough fundraiser. HIGHEST profits offered anywhere for your soccer organization. All items are priced the same which allows for easy selling and easy totaling of your profits. See why our cookie dough fundraiser will put a big “WIN” in your bank account this season. 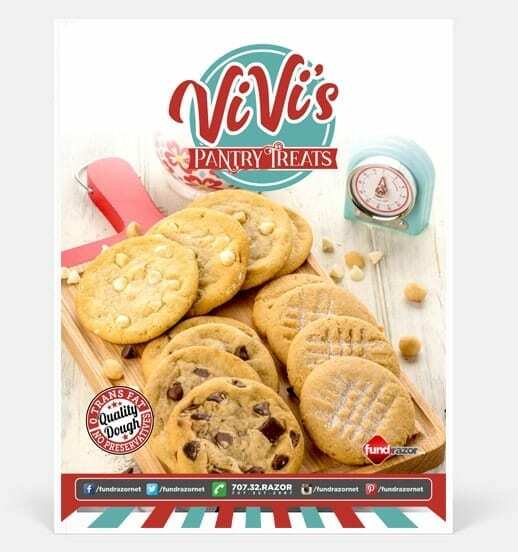 Another one of the best soccer fundraising ideas is from our Vivi’s Pantry Treats brochure. We have included everything imaginable and themed it all with the same “shelf-stable” concept as the cookie dough. If you need options for your soccer fundraiser, then Vivi’s Pantry Treats covers it. Temptations include our pre-portioned cookie dough, our NEW edible cookie dough, popcorn, soup mixes and sausages. 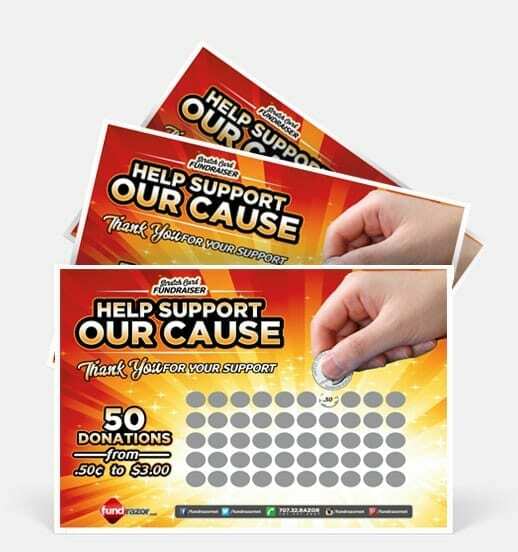 Best Fundraising Ideas for soccer include our highly profitable scratch cards. Unlike other soccer fundraisers, this one has no products to deliver. Done right and aggressively, this fundraiser will make money FAST and EASY. Take advantage of Fundrazor’s low prices and save over 50% compared to our competitor’s prices. Each Fundrazor Scratch Card generates $100 when completed correctly. Any time you have the option to make your soccer fundraiser mandatory versus voluntary, your results are going to triple in dollars. 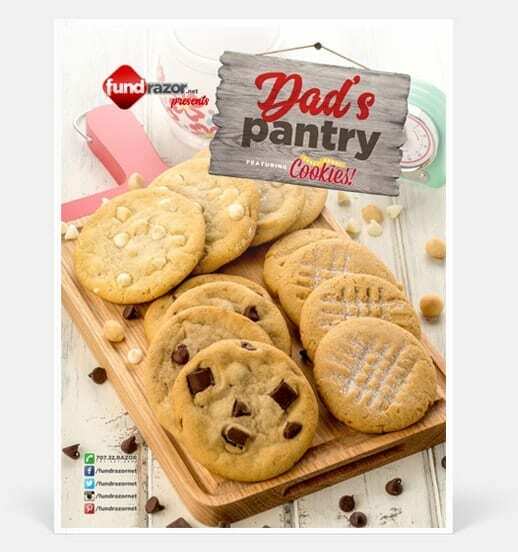 Typically, when you have a voluntary fundraiser, you will get about 30% participation and with Fundrazor, each seller averages 8-10 items sold. There is a fine line between doing what is right for your league and trying to avoid a big uproar. Look at it this way, you and your volunteers are providing your time for free and also providing a great opportunity for the youth of your community. Don’t you think it is fair that you receive help from others to keep your program successful and up to date? If the answer is “YES”, then you should consider making your fundraiser mandatory. If you do opt for the voluntary soccer fundraiser, you will notice it is always the 20/80 rule. 20% of the people do 80% of the work. Your youngest age groups will sell the majority of the soccer fundraiser order. Make sure you assist them, their parents and their coaches with every tool they need during the fundraiser. If you have the opportunity to pass out soccer fundraiser materials to each parent and player, this is ideal. Such activities like signups, draft day or opening day are prime examples. Sometimes when you rely on coaches to distribute the fundraising materials, mishaps like forgetting or a coach that is not supportive of your soccer fundraiser can lead to several players not getting the opportunity to participate. Start your season’s board meetings by addressing your needs for the organization and how you want to accomplish this with fundraising. Once you have the board members in agreement, set goals for the league then break them down by age, team or coach. Lead by example too. You can’t expect your parents and coaches to sell when you don’t participate. You have all the necessary tools right in front of you to make your soccer fundraiser successful. Your league’s Facebook, Twitter, Instagram, text messaging, voice and emails from your group’s communication system along with the local media (TV, radio and newspaper) are all integral parts of spreading your message. Use them frequently. Let’s face it, we are all on our smart phones or computers more than we care to admit. Use your own personal social media accounts to spread the word too. You can never have too many volunteers. It’s always better to have too many than not enough. Worse case scenario, you can dismiss volunteers to go home. It’s better to spend 2-3 hours trying to recruit new ones at the start of the season than having to spend 10-20 hours extra by having extra responsibilities through out the season. New parents to your area are prime candidates. Typically, they are looking for ways to integrate their families into your community. Don’t be shy about asking them, they may just be waiting on you to ask. Thanking everyone for their participation with your soccer fundraiser will help your parents and community be more receptive toward your next fundraiser. Like before, use your league’s Facebook, Twitter, Instagram, text messaging, voice and emails from your group’s communication system along with the local media (TV, radio and newspaper) to formally say “thank you” for their support. It is strongly encouraged to state what the soccer fundraiser proceeds were used for and if possible, show everyone the fruits of their labor.